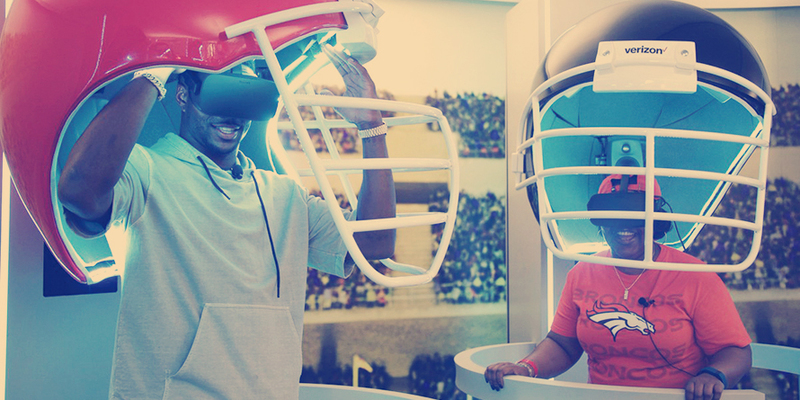 Event Marketer looks at the best experiential marketing surrounding the Super Bowl and highlights our work with American Express and Verizon as two of the standout programs. NEW YORK – TUESDAY, DECEMBER 5 – For the third consecutive year, The Drum named Momentum Worldwide “Agency of the Year for Events/Experiential” at the ninth annual Drum Network Awards. The ceremony was held on November 28 in London, England. Momentum was named to Chief Marketer's 200 list, celebrating the top engagement and activation agencies. One year ago, Verizon CMO Diego Scotti sent a letter to all of the brand’s agency partners. In that letter, Scotti called on each of the 11 agencies on the Verizon roster to focus on improving the number of women and people of color working for them. Verizon has officially unveiled its AdFellows program, a paid fellowship that will give 20 diverse young marketers the chance to work within the company and at its partner agencies over the course of eight months. NEW YORK – Thursday, May 25 – SportsBusiness Journal (SBJ) named leading sports marketing and brand experience agency Momentum Worldwide “Best in Corporate Consulting, Sports Marketing and Client Services” at the annual SportsBusiness Journal Awards ceremony last night in New York City. Previously, Momentum was named by SBJ as the “Best in Sports Event and Experiential Marketing” in both 2013 and 2015. CEO Chris Weil spoke outside the 4A's Transformation conference about the role of content marketing and the importance of connecting with consumers and adding value to their experiences instead of just messaging at them. NEW YORK – February 21, 2017 – Elena Klau, SVP, Group Director Strategy, Insights & Performance NA for leading brand experience agency Momentum Worldwide, was named to the SportsBusiness Journal’s “Forty Under 40” list recognizing the top young leaders in the sports, sports marketing, and sports sponsorship worlds, as decided upon by the publication’s editors.